danger we are facing, and even though they aren’t going to lead to anarchy and complete societal breakdown, they will lead to increases in crime and violence, and shortages of many of the things we take for granted. While the systems people have become helpless without will still be in place and functioning, we the people will not get as much utility from them as we once did. Taxes are about to become the biggest crisis we face. Our taxes are on the rise because local, state, and federal governments are going broke through their refusal to do what we the people are required to do (budget, live within our means). This is going to pull more and more money out of our pockets and out of the monetary system, leaving fewer dollars for us to spend. The top tax rate in France is now 75%. 75%!!! Ouch! Not only are we going to have fewer and fewer dollars to spend, the dollars we do have are buying less than they used to. “the question of how the increase in Social Security taxes would affect the poorest workers did not seem to garner much debate on either side of the aisle. “I don’t see any reason to consider supporting its extension,” said Timothy F. Geithner, the Treasury secretary, in testimony last year. Even Nancy Pelosi, a reliable liberal who leads the Democratic minority in the House of Representatives, was for letting it expire. Retailing analysts and economists say high-end earners will largely be spared. As people spend less, prices will continue to increase as businesses struggle to maintain profit margins. This will lead to people buying fewer items and a vicious cycle begins. Also, less buying power means a diminished ability to repay loans. So if a bank or lender doesn’t have faith in your ability to repay a loan, they aren’t going to make the loan. That means you are going to have a really difficult time replacing a car that breaks down, which could lead to losing your job. Couple tax increases with the continual rise in inflation and the erosion of the dollar’s buying power and you are looking at a situation in which the working class is basically becoming indentured servants. One of the steps to take in order to be resilient when this happens, I MUST HAVE DEPENDABLE TRANSPORTATION NOW! The time is coming when we are not going to be able to afford a replacement. Back in early December I took my cash savings and bought a used Honda Civic 5 speed for $2600. With proper maintenance I should be able to get at least another 100,000 miles out of it, and it has a 4 cylinder engine so it gets good gas mileage. I saw it as having more value than the cash I was sitting on. I am now attempting to replenish my cash. Saving $50 per week should replace it in about a year. I think it is vital to be sitting on cash as we approach the coming crisis. I also think it is wise to have a portion of that cash in silver because silver is going to start to appreciate in value at some point. You don’t want it all in silver though because you don’t want to be in a situation where you can’t get it converted back into dollars in time to take advantage of a great deal. An important note about taxes: the very rich don’t really care at what rate they are taxed at in this country because the tax laws were written by them. As long as they know what rate they will be charged, the can have their accountants, planners and advisors plan for it and adjust accordingly. These sophisticated tax planners have nearly 4 million words of tax code to help them in their tax avoidance. 74,000 pages seems to be excessive and wreaks of special interest. Wasn’t Romney’s tax return over 375 pages long? He paid a rate of between 13.5% and 14.1%. Sounds low to me, but my tax return has less than 10 pages. For the sake of disclosure, I am not an Obama fanboy, I did not vote for him. I voted for Gary Johnson. 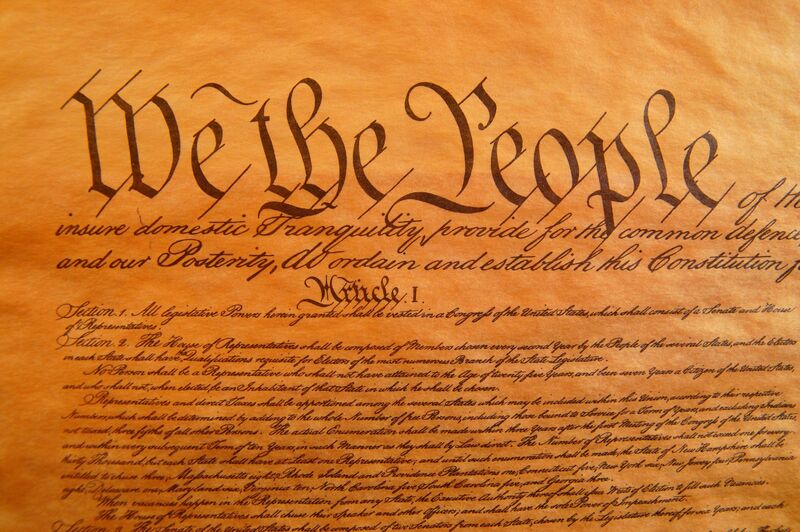 The Constitution of the United States of America does not grant us our rights as individuals, it protects them!! The term “inalienable” means unable to be taken away from, or given away by, the possessor. This is one of the scenarios preppers are prepping for. But prepping by stockpiling isn’t the answer to this. If this happens here you can’t stockpile enough to ride this one out, you need to be getting yourself resilient. You need self sufficiency that is sustainable when something permanent shows up on the horizon.